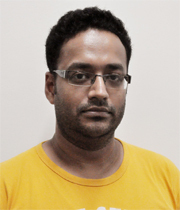 Saket Anand is an Assistant Professor at Indraprastha Institute of Information Technology (IIIT), Delhi. He completed his PhD in Electrical and Computer Engineering from Rutgers University in 2013. He was part of the Robust Image Understanding Lab at Rutgers and his current research interests are design of robust statistical methods for heavily corrupted data, 3D scene reconstruction techniques and semi-supervised clustering methods. From 2007 to 2010, he worked as a research engineer at Read-Ink Technologies, Bangalore, developing algorithms for handwriting recognition. His Masters research carried out at Rutgers (2004-2006) involved design and implementation of face recognition and speech recognition algorithms. He is a member of the IEEE.